Home » Anime » Anime vs Manga: Which One Is Superior? Manga and Anime are undoubtedly awesome! Both of these Japanese entertainment forms are famous around the world, featuring many incredible anime and manga like Fullmetal Alchemist, Death Note, Attack on Titan, and Your Name. Both have massive fanbases around the world, besides Japan. At first glance, both manga and anime are supposed to be in harmony. But surprisingly, there is a particular topic which has raised the debate between anime and manga fans: Anime vs Manga – Which One is Superior? 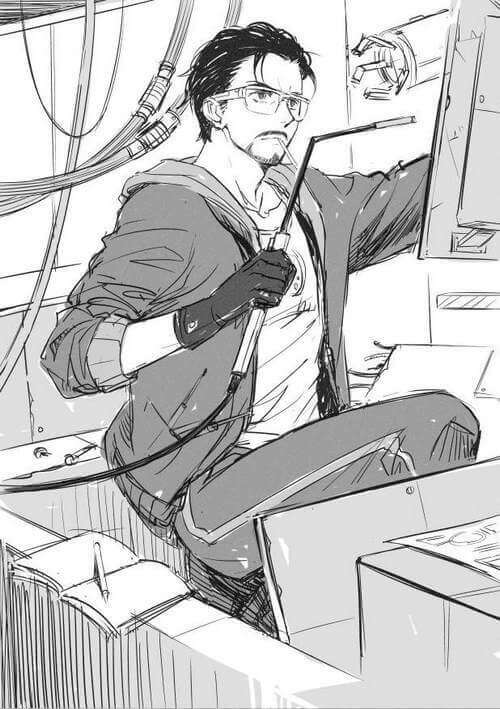 How to make a manga? Frankly speaking, this question is pretty much… pointless since it is mostly subjective. And unfortunately for people who want to have an objective and universal answer, there is no such definite answer. Therefore, this is not really a legit question due to manga and anime’s fundamental differences. That said; it gives us an opportunity to understand our favorite form of entertainment further. So with no further ado, let’s find out. Manga (漫画) refers to Japanese comic which has quite a complicated history. Many people believed that the origins of manga can be traced back to the century 12th. However, it was not until 19th century that this form of entertainment got the name “manga”. After the World War II, manga has developed tremendously, featuring various stories, artworks, and writing styles. Eventually, manga found its way to the Western market and no doubt, now it has become a worldwide phenomenon. For people who are not into manga and anime, they may think manga (and also anime) is for children and teenagers. Yet on the contrary, there are all kinds of manga for all ages, from children, teen manga to manga for adults featuring various mature and serious matters. It is pretty similar to Western comic (and also cartoon) which also has various series and stories for all ages. The art style is probably the most obvious difference. Western comic mostly follows realistic style (of course it’s not 100%), while manga often has completely unique art style (which we often refer as… manga-ish?). Also, most Western comic features colored issues, while most Japanese manga only has black and white colors. At certain occasions, a manga chapter may have 1-2 colored pages. There are also colored manga but their number are quite low. Since manga originated from Japan, it has lots of influences from Japanese culture, typically the reading order. Unlike the Western comic which read from left to right, manga read from right to left. Also, most manga series take the setting in Japan and therefore, it may be hard to relate for international readers. Yet, gradually we see more and more manga series take the international routes, including many mythologies and locations throughout the world. 1) The mangaka will need to send his idea, design, and maybe even the first chapter sketch to the magazine publisher (such as Shueisha). After assessing the idea, the publisher will decide if the idea will be accepted, denied, or need to be revised. 2) The new manga will make its debut on the magazine as one-shot and see how readers react. This debut step isn’t really necessary, especially if it is manga adaptation of a famous light novel like Sword Art Online. 3) When the story is well received, the author and the publisher will decide whether to make it as weekly or monthly series. 4) If the manga doesn’t go well, the author may have to end it as soon as possible. Of course, this may sound easy-to-do at first glance. Yet in reality, the life of mangaka isn’t easy as some people may think. There are hardships such as deadline pressure, competition with other manga, and more… So, prepare carefully if you want to be a mangaka! Anime (アニメ) refers to the Japanese hand-drawn or computer animation (the name “anime” is actually a derived version of the word “animation”). Based on this definition, we can say anime is Japanese cartoon and it has completely unique style unlike the Western cartoon. At first, anime’s art style took lots of influences from Osamu Tezuka’s work during the 1960s. Then since the 20th century, anime has gradually built up its popularity and nowadays, it is also an international phenomenon like manga. 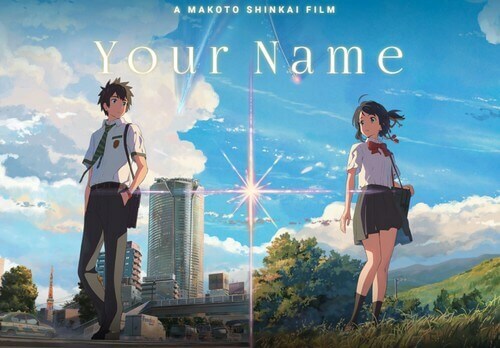 Throughout years, we have seen lots of incredibly famous anime, typically the anime Your Name (or Kimi No Na Wa) which released on April this year and became the highest-grossing anime film with the international gross of $355,298,270. Anime adaptation often adapts popular stories and series, mostly manga and recently light novels. 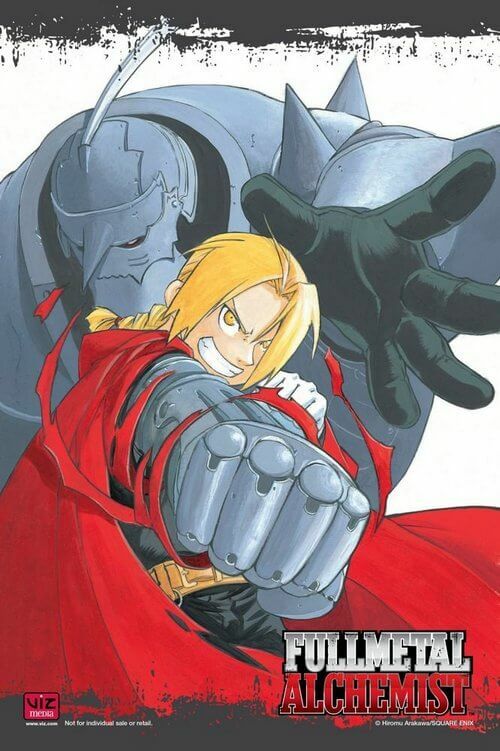 Famous examples of anime adaptation: Fullmetal Alchemist, Death Note, and Attack on Titan. Original anime are the original stories written by the original authors and they are not based on any other popular movies or series. Famous examples of original: Your Name and anime by Studio Ghibli. To see how an anime is made, check out: How to Make Anime? How an Awesome Anime is Made? So that we have taken an overview about manga and anime, it’s time to understand the differences between them! Features hand-drawing, still pictures with black and white. Generally have better details on background and characters. Relies on animated scenes with full colored settings, characters, and special effects. Tend to have simpler background and character design than manga. Overall, not much to say about the visual since this one is quite obvious. At first glance, many people may think that anime has better visual than manga. However, this is still mostly subjective since both manga and anime depends on different visual styles. Both of these visual styles can be tremendously impactful, depending on how they are implemented. 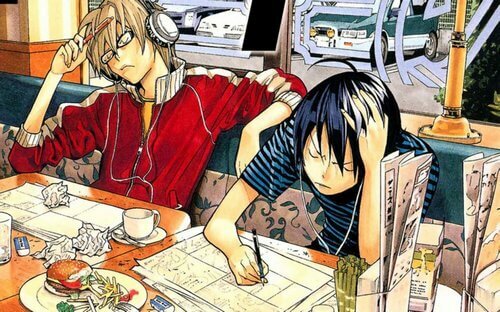 For example, manga like Death Note or Bakuman looks extremely good and impactful. 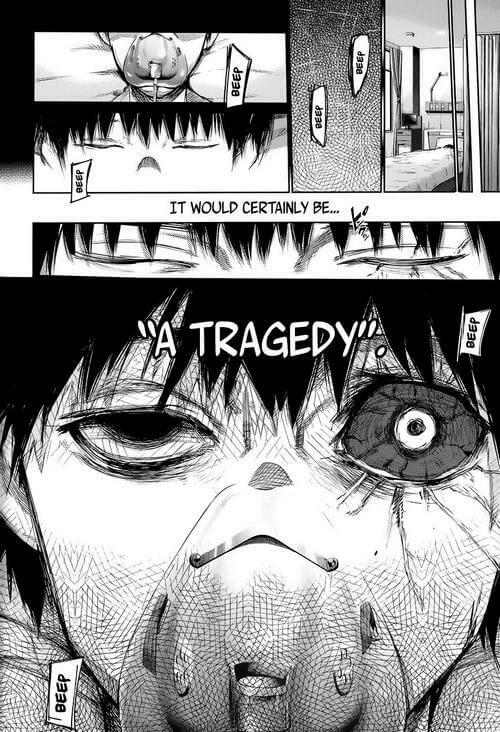 Writing on manga allowed the author to give more details on characters, especially the psychological part. Whereas, anime adaptation (Naruto, Bleach, Dragon Ball, and many other shonen anime) tends to simplify the design due to the cost of making anime and TV schedule limit time. On the other hand, original anime can have more details, but they still have certain visual simplification due to cost saving and time limit. Rely on hand-drawing pictures to tell the story and illustrate the characters. Can emphasize certain events, characters with focused details, making them feel more impactful. Since the authors have full control over their manga, they can tell their story whatever they want (unless the manga doesn’t receive well then it will be forced to end quickly). Therefore, the story can freely develop and stay true to the author’s plan. Rely on animated scenes to tell the story and illustrate the characters. Can bring characters to life with stunning colored visual and voice acting, along with visual, sound effects, and background music to effectively deliver the story. In terms of anime adaptation, the story tends to be modified due to the time limit. Some anime are cut short so that it can fit 10-12 episodes length, resulting in the lack of many important events which only appear in manga. While other anime have fillers to lengthen the original storyline (like Naruto). In terms of original anime, especially movies, the story are precisely planned within the time length. The visual may be simplified but overall, these original anime can still deliver a full story with impactful events and unique characters. The most typical example for this is anime made by Studio Ghibli. Death Note and Fullmetal Alchemist Brotherhood are good examples of equally good manga and anime adaptation. Their respective anime adaptation kept most of important details, characters, and events from the manga. Personally, we have read the Death Note and Fullmetal Alchemist manga before watching their respective anime adaptation. 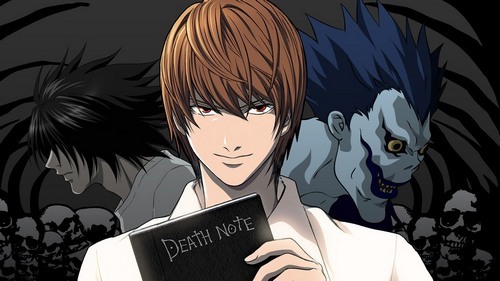 And it is quite surprising that the anime can still build up the same tension (especially Death Note) within us even though we have already known the plot. On the other hand, with Naruto, we tend to read the manga rather than watching anime. The animation of Naruto is good, watching our favorite ninjas in combat is a thrilling experience indeed. However, Naruto anime tends to drag the story with fillers and it feels really unnecessary and boring watching them. 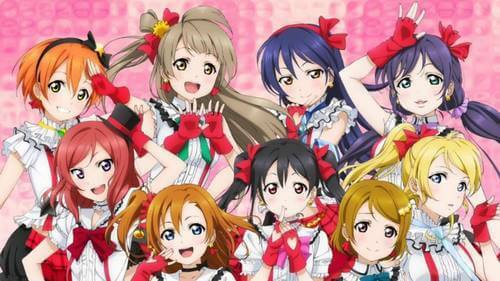 Then finally we have music-based anime and manga like K-On or Love Live. These kinds of music-based story tend to have more impact in the anime rather than the manga. While manga can illustrate the characters in more details, what it sorely lacks is the sound impact. Anime can fulfill this sound part. Like K-On or Love Live, the anime can illustrate these cute characters with attracting colors, and more importantly, the voice acting and actual music. Some comedy-based manga and anime also follows this pattern since many jokes in anime work better than manga thanks to the animation and sound effect. Cost: Manga usually costs less money significant less than anime. The main manga authors, a.k.a mangaka, don’t require much facility to make a manga. They may require assistants but surely the cost isn’t high. Control: As mentioned, mangaka have full control over their manga. Except that if their manga don’t go well, they are forced to end these manga quickly to make room for new entries. Length: In terms of chapter length, a manga chapter often lasts around 18-20 pages. In terms of series length, there is no limitation and the authors can continue as long as they want to. But again, they have to end the manga if they don’t go well. Cost: Anime costs significantly more than manga. An anime series of 13 episodes can cost about 250 million yen (which is $2 million) in average. Control: An anime adaptation is often under supervision so that it fits within the show length. Therefore, its content may be cut, or put in some fillers. Whereas original anime won’t necessary have this problem. Length: An anime series (or seasons) only lasts around 12 episodes. Each episode last less than 30 minutes. Frankly speaking, it is impossible to say which one is superior, anime vs manga. All of the answers for this matter are mostly subjective and fans are more likely to protect what they believe in. 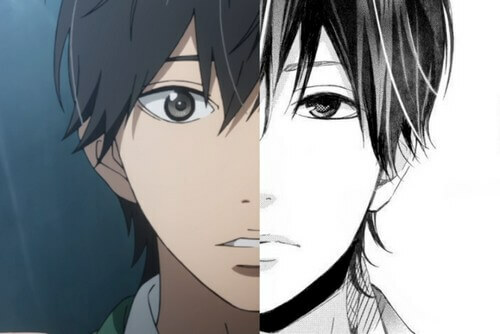 Some say anime is superior, but in reality there are certain anime adaptations don’t work well compared to manga (Tokyo Ghoul, we are looking at you!). On the other hand, certain anime adaptation clearly works better than manga like music or comedy-based anime. So in the end, it is not about anime vs manga in general, it’s about anime vs manga version of a particular series. Personally, we believe both manga and anime are awesome in their own ways. Still, what do you think? Feel free to share with us and for now, thank you and stay tune for more news in the future! Pingback: The Ancient Magus Bride – Why Do We Fall In Love With It?